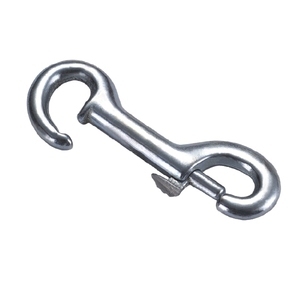 Ningbo Kingkin International Trade Co., Ltd.
Jiangyin Ausight Metals Co., Ltd.
Yiwu ShengPeng Crafts Co., Ltd.
tWe are manufactuer of Rigging products with many years' experence in this line. The quality reliable, timely delivery and price reasonable of our products have achieved goog reputation. If you have any need about our products, please feel free to contact us. 2. Experience staff answer all your question in fluent English. 6. When you come to our office, we can pick up you at airport or hotel. 7. During the using our products, our customer service staff can answer any question about the quality and technology. Handan Changhong Fastener Manufacturing Co., Ltd.
Qingdao Zelk International Trading Co., Ltd. Double End Bolt Snap. Stainless Steel 304 & 316. Fnish:polished. 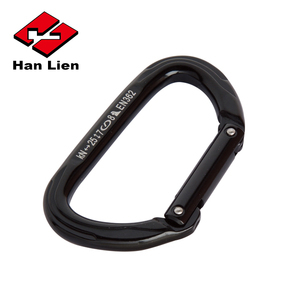 Also available in carbon steel zinc plated. 7.Nonstandard products can be made according to drawings and samples. 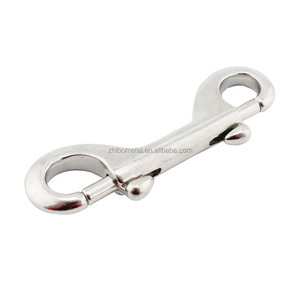 8.Various styles and sizes of wire rope thimble are largely kept in stock. is one of the leading manufacturers of stainless steel, carbon steel, alloy steel and copper in China. 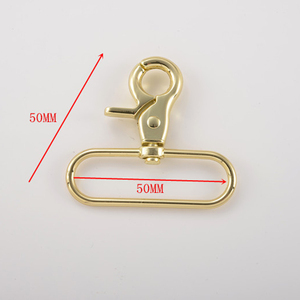 Ningbo Daohong Machine Co., Ltd.
Wudi Xinwangda Metal Products Co., Ltd.
Alibaba.com offers 417 double end snap hook products. About 56% of these are hooks, 6% are other hardware, and 1% are bolts. 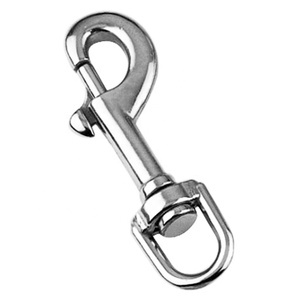 A wide variety of double end snap hook options are available to you, such as metal, stainless steel, and plastic. You can also choose from free samples, paid samples. 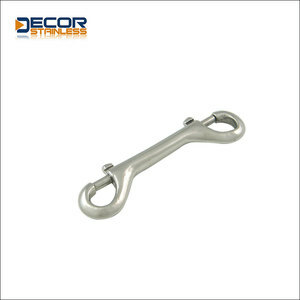 There are 416 double end snap hook suppliers, mainly located in Asia. 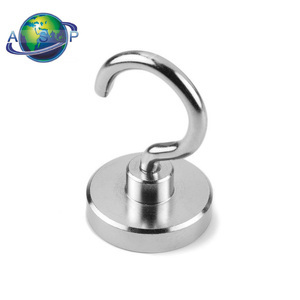 The top supplying countries are China (Mainland), Taiwan, and India, which supply 95%, 4%, and 1% of double end snap hook respectively. 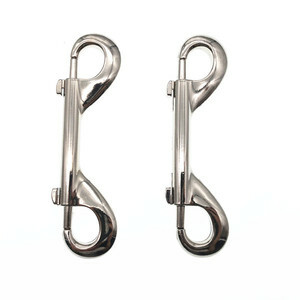 Double end snap hook products are most popular in North America, Western Europe, and Domestic Market. You can ensure product safety by selecting from certified suppliers, including 110 with ISO9001, 18 with Other, and 7 with BSCI certification.